Discussion in 'Price Drops, Must-Have Freebies, and Deals' started by Habakuk, Aug 7, 2015. 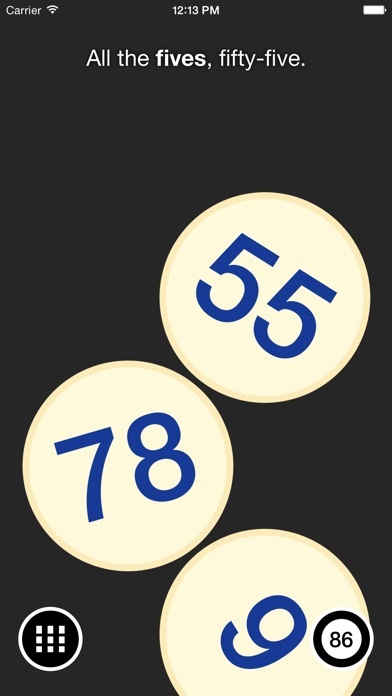 Download Bingo Machine now to start calling numbers instantly for American or British-style bingo games: 75 ball or 90 ball games. Bingo Machine is a bingo caller; the app calls bingo numbers. With a bingo card in hand, Bingo Machine handles everything else automatically. It replaces the need for a traditional 'bingo caller' tumbler or expensive electronic computer — no more losing balls or spending hundreds on 'professional' equipment. Bingo Machine really is the best choice. It will randomly call all the numbers of a Bingo Machine with settings to switch between American 75 Ball and English 90 Ball modes. You can even set a timer to have balls called automatically at regular intervals. It can even speak the numbers aloud for you. Bingo Machine includes two real human recorded voices, English Male and English Female. 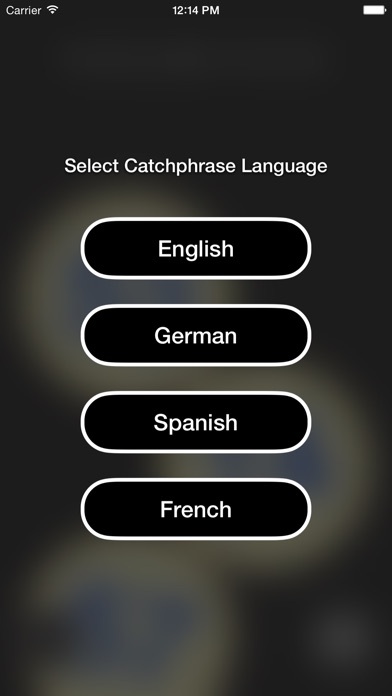 There is also a synthesized speech option for other languages. 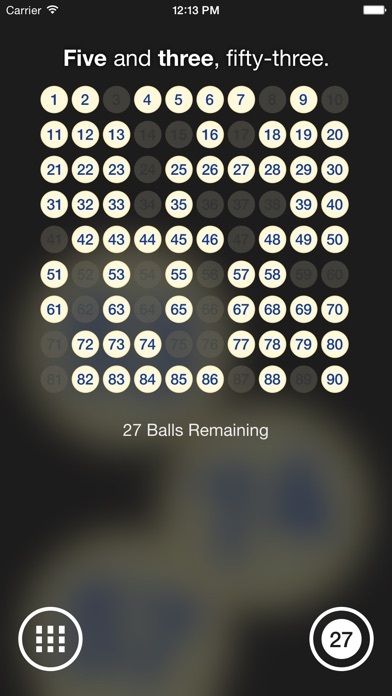 Numbers can be reviewed by tapping the Overview button and see the entire board of balls at a glance. You can even continue calling numbers from this screen; you don't lose your place. 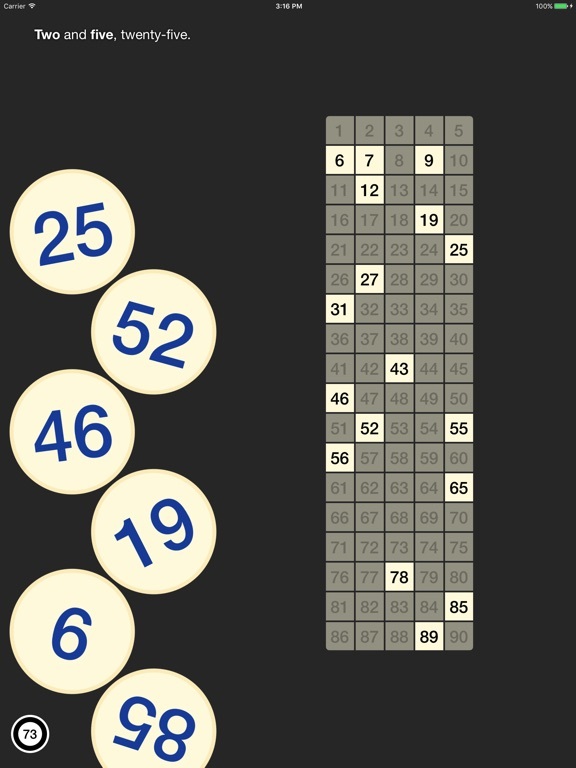 On iPad, Bingo Machine uses the expanded screen real estate to show everything on screen at once. 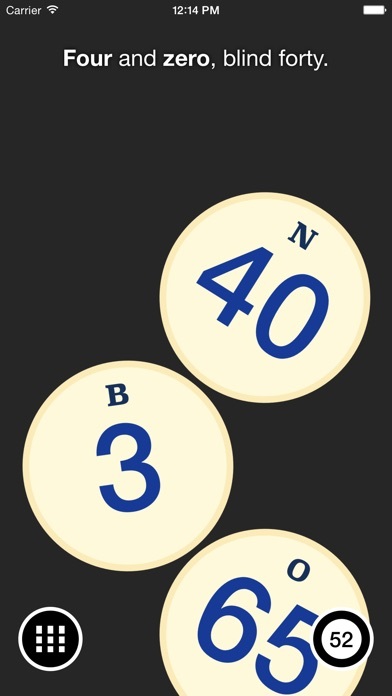 For group settings, connect Bingo Machine to an external display (with a cable or AirPlay Mirroring) to see the current ball on the big screen. This is perfect for large meetings, schools and charity events. 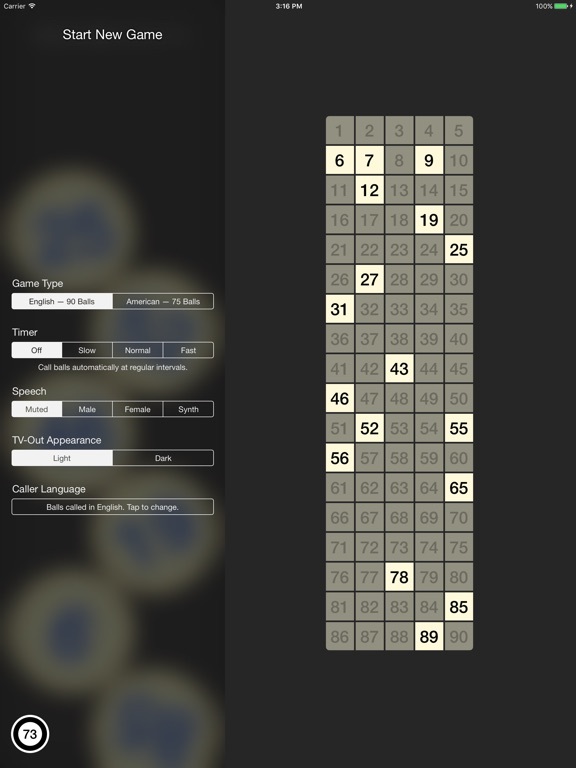 You may also want to use Bingo Machine as a teaching tool for learning numbers in other languages. 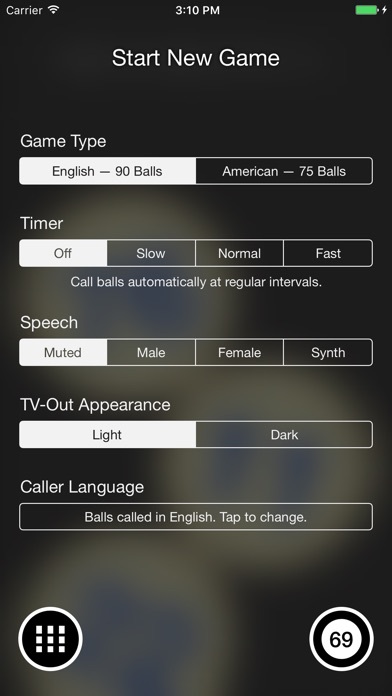 Buy the In-App Purchase to switch between several languages for the ball caller to use, including the synth voice. Other bingo machine software is clunky and complex; Bingo Machine for iPhone, iPod touch and iPad is the opposite - simple and functional. Modern bingo made beautiful.